Aside from the stunning North Saskatchewan River on our doorstep, one of our favourite features at Sarilia is our community garden. It’s a great excuse to get together as neighbours and share a connection with nature. These beautiful, spreading succulents need full sun and good drainage. Considered drought tolerant, they’re ideal for a low-water garden or xeriscaping. They thrive on neglect, making them the perfect plant for those of us lacking green thumbs. And the bonus for those of us who live in the country? The deer haven’t acquired a taste for them, so they’ll be left alone. 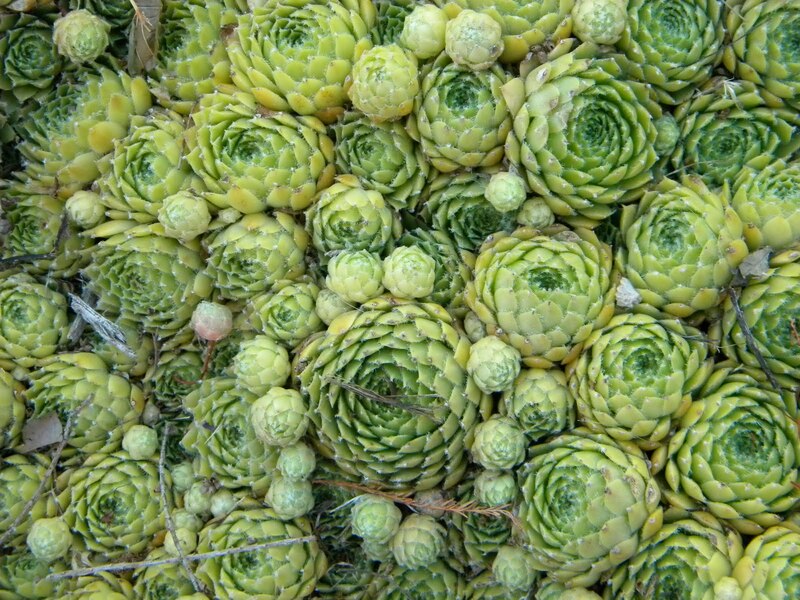 There are over 50 species of hens and chicks. At a recent talk in Saskatoon, CBC’s gardening guru, Lyndon Penner, noted that the Pacific Rim variety is capable of surviving our harsh Saskatchewan winters. Autumn Joy may not look like your typical succulent, but any plant that stores water in its leaves or stem is a succulent. Another one of Penner’s favourite perennials for the prairies was Autumn Joy. Many gardeners lament that by late summer and early fall, their gardens aren’t as beautiful because all the blooms are gone. That’s not the case when you plant Autumn Joy, as it blooms in August and the dark pink flowers hang around well into the fall. Like hens and chicks, they like full sun. Moist soil is preferred, but this adaptable plant can still survive in drier soil. This blushing beauty attracts butterflies, but unfortunately, the deer like it too! 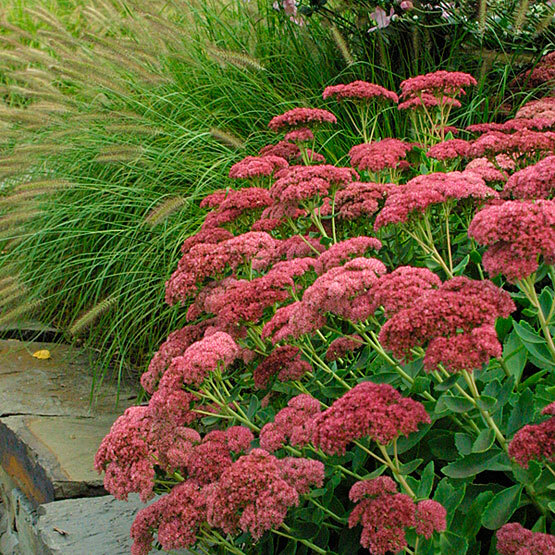 If you love bright colours in your garden, consider planting Sedum Angelina. 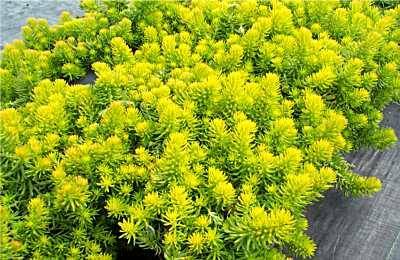 This striking chartreuse plant is an excellent ground cover as it spreads quickly. Full sun is recommended, but it will tolerate light shade. 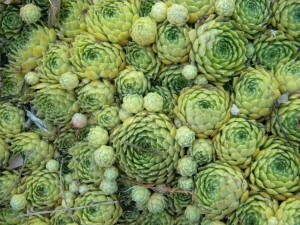 These drought tolerant succulents also look great in containers and hanging baskets as they will cascade over the edges. Yellow star-shaped flowers bloom from them in summer, and in the fall the leaves will often turn a beautiful amber. If you’re looking for more information on gardening in Saskatchewan, Dutch Growers has a helpful plant finder on their website. Lyndon Penner also has a great new book out, titled, The Prairie Short Season Yard. What does your garden grow this summer? Please share your plans with us in the comments section. Until next time, happy gardening!